Some good wines in Australia actually come from home growers or amateur vintners. Unfortunately the production is so small that any vintage is only available for personal consumption and sharing with family and friends. Thanks to the Frankston and South Eastern Wine Show, you can now get to sample some in Melbourne. Located on the Mornington Peninsula, this amateur winemaking competition is the brainchild of Frankston Amateur Winemakers Guild Inc, a friendly association of like-minded wine lovers and home-grown producers of high quality wines made from a wide variety of ingredients and with minimal preservatives or additives. Their annual competition and show brings together the best home-made wines from fruit, vegetables and herbs in addition to red and white grapes. The categories include still, sparkling, fortified wines and liqueurs. 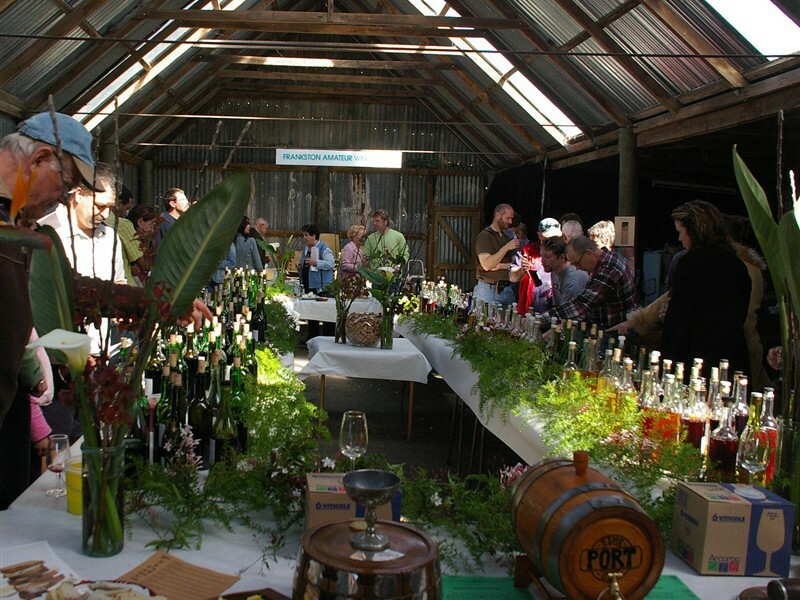 The competition is closed to the public but you can visit the wine show on 31 August in the barn at the Briars. For a entry donation of just $10 you will receive a wine glass to enjoy a tasting of all the wines on show and take home thereafter. Red and white wines available for tasting usually include cabernet, merlot, pinot noir, shiraz, chardonnay, riesling and muscat. Other unique wines are made with berries, stone fruits, citrus fruits, guavas, parsnips, carrots, herbs and many other exotic ingredients. It is also a rare opportunity to meet many of the winemakers and competition winners to learn more about their wines and exchange notes with fellow wine lovers. So grab some friends and head out to the Frankston and South Eastern Wine Show for a rare occasion of home-made wine tastings and touring around the picturesque Mornington Peninsula. Why? Where else can you taste homemade wines in Melboune for only $10?